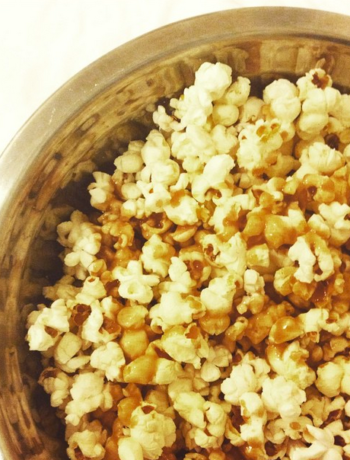 Have you ever thought about why some people are lactose intolerant? When my sister’s newborn baby was diagnosed with the intolerance, it took me a few beats to understand how this was possible. But it makes perfect sense, as does the fact that her intolerance is now, unfortunately, bound to my sister’s diet. If she eats dairy, the baby gets sick. With Passover fast approaching, my mom decided our last meal before the long stretch of matzah would be pizza…which meant a specialty vegan pizza was in order. Challenge accepted. I posted my combo of ingredients below. I used my mom’s homemade pizza dough, the recipe for which can be found at the very bottom of this post. It ended up being enough for 2-3 people. *Note: for added spice, leave the seeds in the pepper when you blend. Preheat the oven to 350 degrees Fahrenheit. 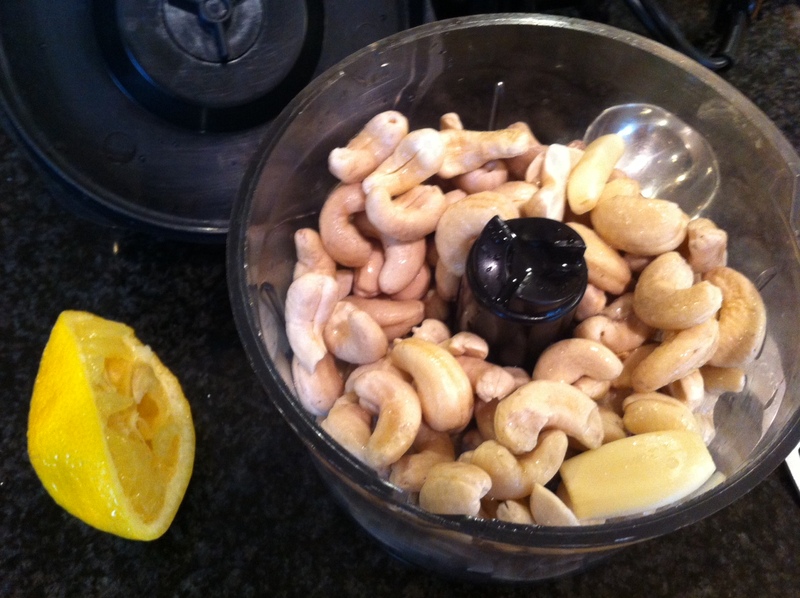 Soak your cup of cashews for 2-4 hours in enough water so that they’re covered. 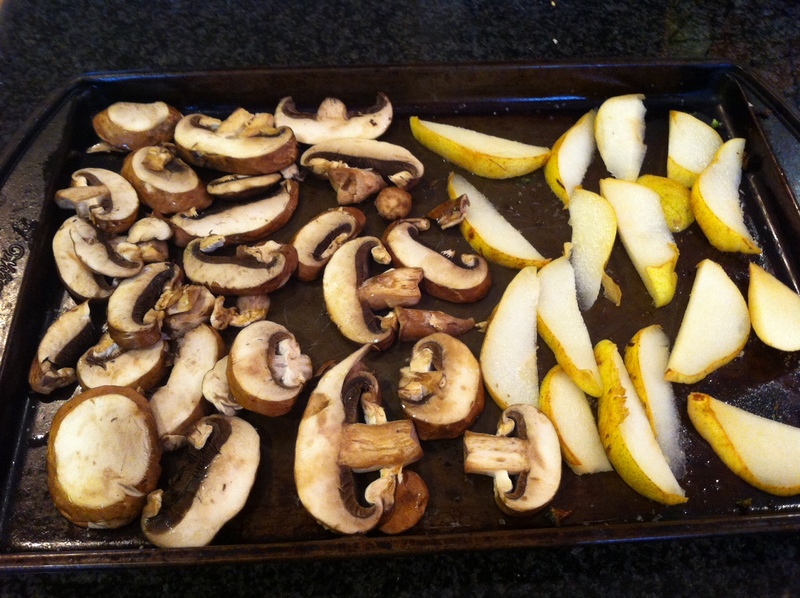 In the meantime, place sliced mushrooms and pears on a baking sheet and spread evenly in a single layer. Using your fingers, coat the mushrooms with a bit of oil (only 1-2 teaspoons of olive oil). 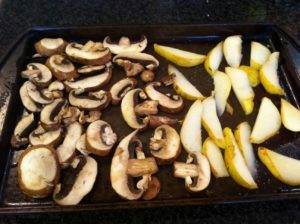 Bake at 350 for about 12-15 minutes or until the pear and mushroom slices have thinned out. Remove from the oven and set aside. Drain the cashews and in a blender or mini food processor, combine with lemon juice, garlic, salt, and water. Blend on high and continue blending and/or adding tablespoons of water until the consistency is hummus-like. 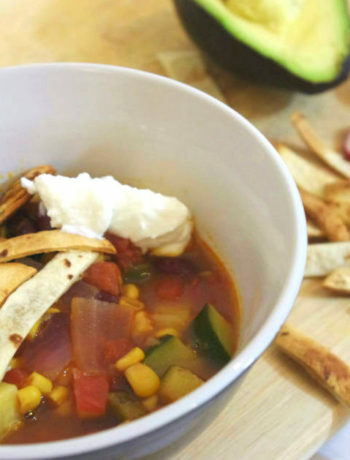 Scoop out and set aside in a bowl. 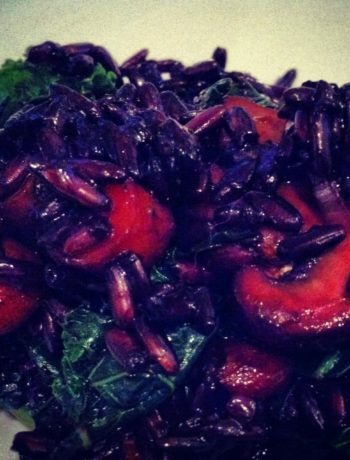 After rinsing the blender or food processor, combine all of the ingredients for your green drizzle. The consistency should be thick and yogurt-like. 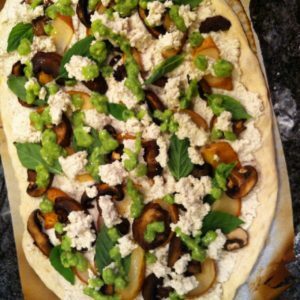 When your pizza dough (either pre-made or using the homemade dough below) has been stretched and ready to bake, begin putting on your toppings. 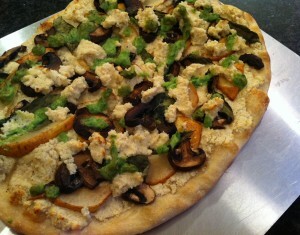 Spread heaping spoonfuls of cashew cheese across the dough, leaving about 1/2 a cup for a finishing touch later. Add the mushrooms and pears across the cheese base, then top with fresh basil leaves. 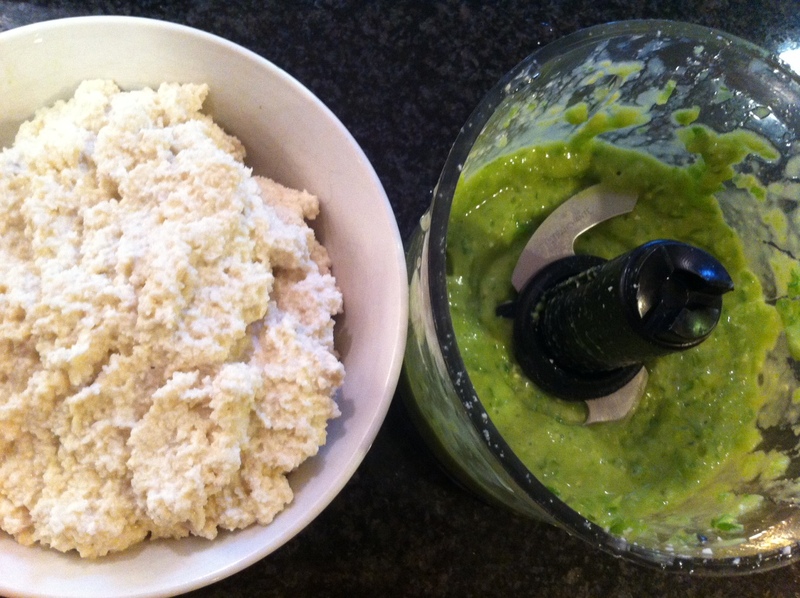 With the remaining cashew cheese, use your fingers to plop on chunks over the toppings. Here’s the key: I added the drizzle before baking the pizza but in retrospect, the added moisture from the drizzle may be a nice touch directly before serving. 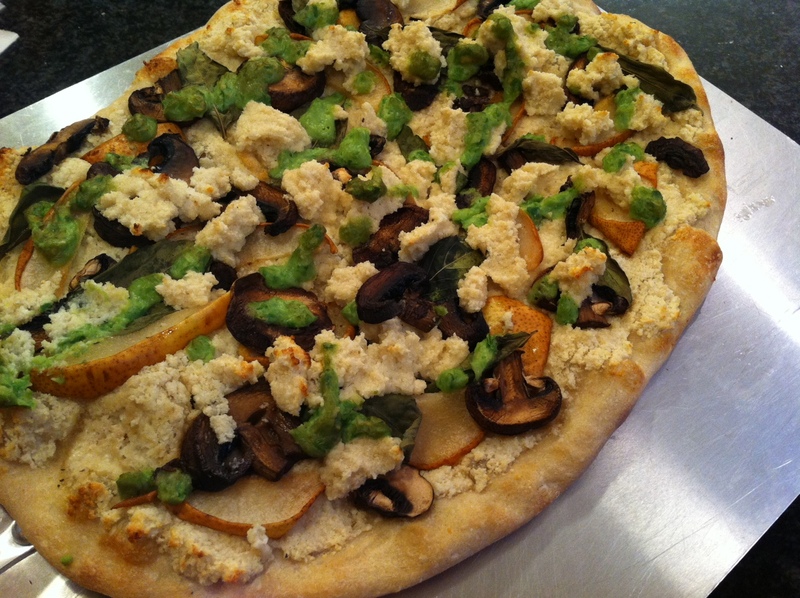 Bake at 500 degrees Fahrenheit for about 15 minutes on a pizza stone or until the crust and cashew cheese has browned a bit. Using a spoon (or a plastic baggy with the bottom corner snipped off for more precision) drizzle the jalapeno/chive/avocado mixture over the pizza and enjoy! Approximately 4 1/4 cups “OO” flour or high-gluten pizza flour (you may substitute a combination of bread flour and all-purpose flour if “00 is unavailable). Place 4 1/4cups “00” flour, salt, and yeast into bowl of processor. Pulse to combine. Whisk together 4 cups flour, salt, and yeast in a large bowl. 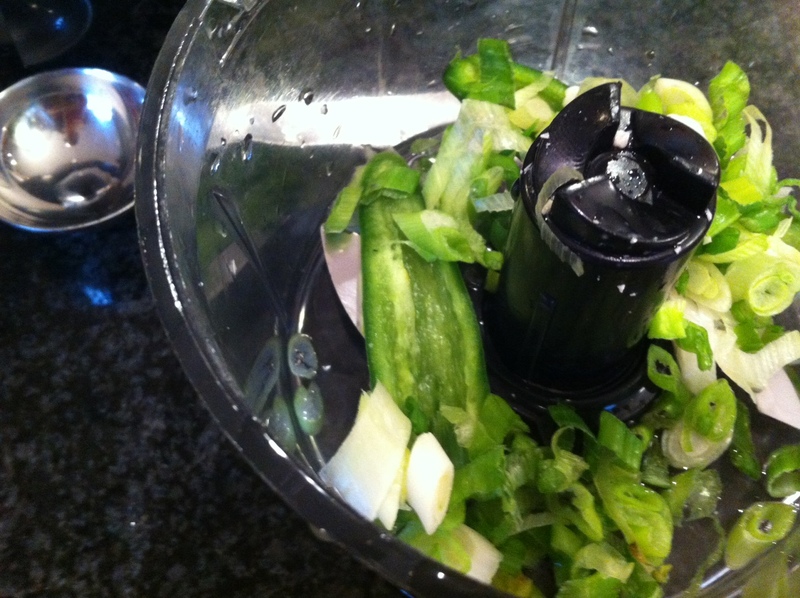 Make a well in center of bowl and add water. Gradually incorporate flour mixture, adding more flour or liquid as necessary for dough to leave the sides of the bowl. 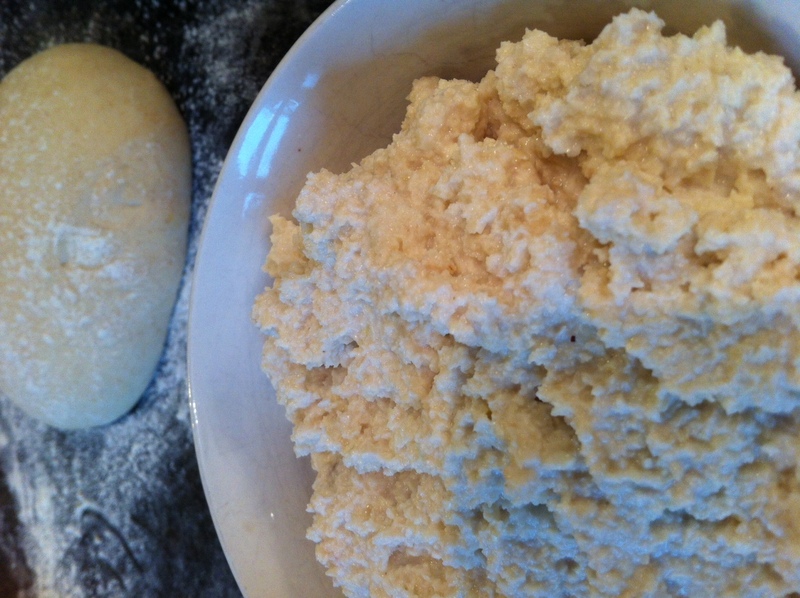 Turn dough out onto a lightly floured counter and knead, adding small handfuls of flour to keep dough from sticking. Knead until dough is smooth and satiny. Remove dough from refrigerator and bring to room temperature, about 1 hour. Turn dough out onto a floured counter and cut into 3 pieces. Form each piece of dough into a ball, place balls on a floured counter, cover with plastic wrap, and let dough rest for 30 minutes. Preheat oven to 500 degrees with a pizza stone (if using) placed on the bottom rack for at least 30 minutes. Cut 3, 12×14 sheets of parchment paper and set aside. Sprinkle each ball of dough with flour and either roll or stretch dough into desired thickness, a 10 or 12-inch round. Place formed pizza dough onto a piece of parchment paper. Repeat with remaining dough.